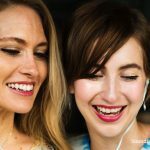 Home » Blog » What makes a good set of true wireless earbuds? What makes a good set of true wireless earbuds? So, What should the right wireless earbud have? Big smartphone brands like Apple, Google, Oneplus, Huwaei, Xiaomi, etc. are removing the widely used 3.5mm headphone jack. And therefore, buying a wireless headset will be a smart decision, at least if we are looking from a longevity point of view. Now, of course, the wired headsets have the upper hand over the wireless in a few contexts. However, same goes vice-versa as well. Consider this article as your headphone buying guide and read further because there is more to wireless earbuds than Apple’s Airpod. Given that the earbuds fit your budget. Given that the design is perfect from look as well as comfortability point of view. Given that the durability of the product is checked. Given every other external aspect, the following are the three things one must have a look on while opting for a wireless earbud. Believe it or not, more than 50% of daily headset users listen through headphones/earphones for more than 2 hrs, according to a survey. 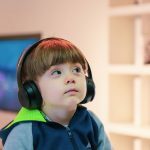 If you are an audiophile like me, you must be having your headphones on all the time. And therefore, if you are switching from wired to wireless, battery life should be a priority or at least a consideration. Most of the good earbuds last for around 3-5 hrs on a single charge which is enough for most of the day to day users. Talking about “Charge,” Charging time should also be considered if your life is full of the hustle and bustle because this is an era of fast foods rather than full meals. In short, a quick charge or in-box charge should be a must if you live a life on the rush. Overall, battery life should be taken into account while defining the perfect set of wireless earbuds. “Sound quality,” possibly, is the most crucial aspect of any earphone, be it wired or wireless. In the context of sound quality, the wired headset will always have the upper hand over wireless because the sound quality of wireless earbuds depends on few factors like latency and bitrate. This doesn’t mean that the wireless earbuds have lousy sound quality. In fact, you wouldn’t even notice any difference in your day-to-day life given that you chose the pair correctly. Therefore, to be on a safe side, while choosing a wireless earbud, purchase the ones which supports AAC or some form of aptX Bluetooth. 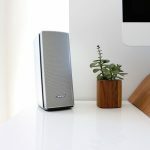 Additionally, check the reviews regarding its noise isolation or noise cancellation because it has a significant implication on the sound quality. Also, of course, things like highs, mids, and lows should be considered. Pro tip: For wireless, better go with the ones having an emphasis on the bass. 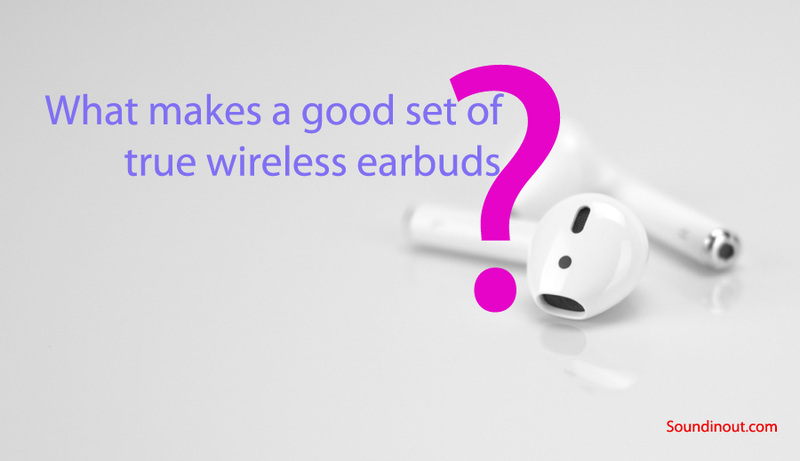 In short, if all the above mentioned factors are kept in check, you are another step further in finding the true wireless earbud. Battery life and sound quality are almost the same for a given price, but features are what makes some earbuds different. A specific feature is sometimes the selling point for the brand. That emphasized feature sometimes projects the quality of the product. And therefore, “Feature” is a part of this 3-block buying guide. Features like one-click connect, long-click voice assistance, waterproofing, in-ear connects, off-ear pause/stop, etc. should be looked out for while purchasing a wireless earbud. And this is where Apple wins. Apple’s Airpods are by far the best from the features point of view. 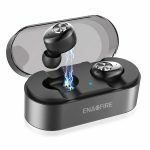 If you have examined the top three prioritized considerations mentioned above, then you are good to go on your hunt for wireless earbuds. Or else, you can read reviews of wireless earbuds from our website or any other trusted source before buying one. Anyways, best of luck with your possibly-first wireless earbud. Do let me know if you want a review on any specific unit. Jaybird X3 Vs Freedom Vs X2 – Which Are The Best Wireless Sport Headphones?